Solid hardwood lever handle and intricate design. Manual straight radiator valve and lockshield pair. 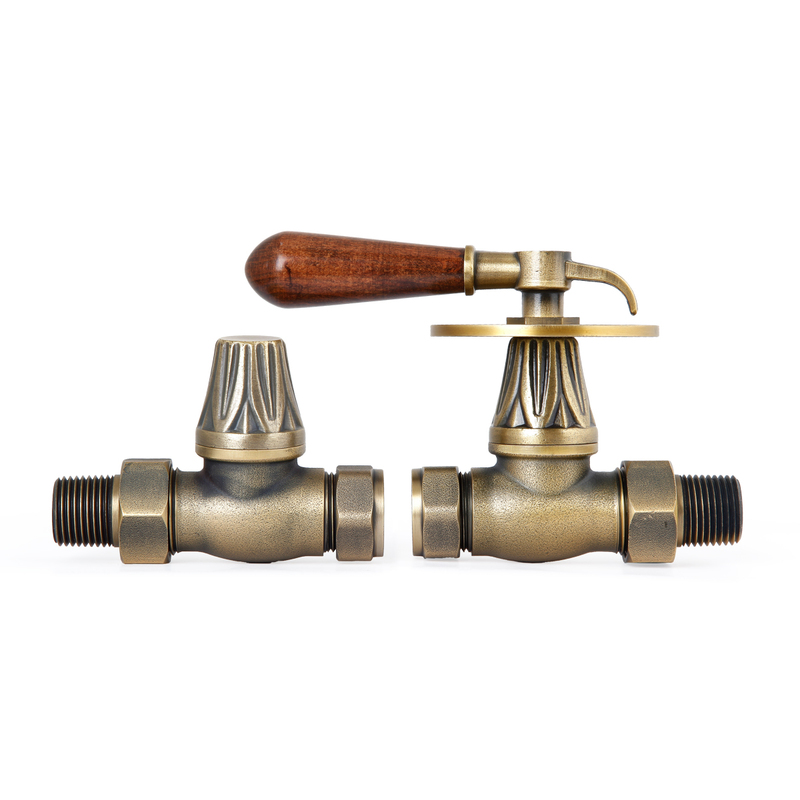 Manual straight radiator valves finished in Natural Brass. 15mm compression fitting, half inch BSP radiator connection. Unidirectional. 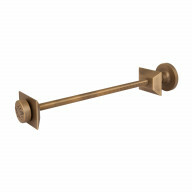 Hewn from solid brass with genuine hardwood handle. 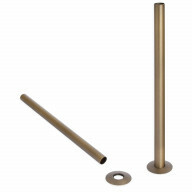 Ideal for connecting radiators where the inlet / outlet pipe flows parallel to and above the floor. Made uniquely for Castrads and only available direct from us. Manufactured to EN215. Five year guarantee.